I would be grateful if you could thank the whole team on my behalf for the excellent treatment. The whole process from beginning to end was excellent. The treatment was carefully explained to me and all my concerns were answered. On the day of the procedure the staff made sure I was relaxed and comfortable. Throughout the lengthy process I felt no pain at all. Once it was completed the anaesthetist ensured that I had fully recovered before allowing me to go home. Although I experienced some swelling and bruising I had very little pain. The medication prescribed for me helped and I recovered quickly. I had a number of follow-up appointments where I was trying various bridges until I was satisfied with the final set. At no time during these appointments was I made to feel I was being too fussy. The dental staff wanted me to feel confident and happy with the final look of the permanent bridges. My thanks to everyone for putting the smile back on my face. p.s. Although I’d rather be anonymous on your website, I’d be happy to speak with anyone who’s thinking about going through the same procedure. 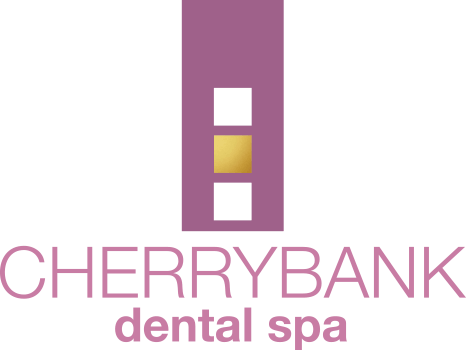 I have used Cherrybank for the last 18 years now and over that time, I have built a strong relationship with every dentist, nurse, receptionist, advisor and some of them I have known since that first day. I was in terrible pain and felt very sorry for myself at the time, but I was welcomed and none of my personal health challenges made the slightest bit of difference to the way I was treated then or have been treated since. My first impression was of distrust!! I looked at the coffee machine and the “comfort” menu as gimmicks, a veneer that, as far as I was concerned, was only there to cover up unknown shortfalls that would reveal themselves sooner or later. I was talking from experience after all. The level of understated attention I received however, was very reassuring and the experience was surprisingly pleasant. My previous experiences were more akin to that of a Kwik-Fit waiting room than a British Airway VIP lounge. The treatment I received that day was “First Class”, definitely not “economy” though as far as my wallet was concerned and no “Air Miles” either to cushion the turbulence. However, I was sold, these people knew their business; I felt I had arrived. If I average the 3 visits per year I make (sometimes more), it means I have visited that little, understated practice about 50 – 60 times since my first encounter with Janice in 2000. I cannot cast my mind to a time where I was dissatisfied with any of the treatments I have received, impartial advice I was given or best course of action I should follow and the reasons why. About 5 years ago, some changes happened to my upper front teeth and while I soldiered on I knew the inevitable would happen, sooner rather than later, I would have to contemplate wearing a plate or having implants fitted. I don’t know about anybody but for me, this was a drastic decision to make, a change that filled me with horror, dread, great apprehension… a thousand questions needed answered. Now, it is at times like these that you need to have the confidence, the belief, the reassurance that you are in safe hands. Lucky me!!! I spent a few hours with one of their advisors and was given very detailed options available to me. All with varying degrees of interventions and costs. The options available, their financial cost and pros and cons were all explained very clearly and not once was I ever guided or lead to one option over the other. I was able to take their advice without prejudice because of the 18 years of trust they had provided me with, I truly felt the choice was mine alone. I chose to have 4 implants fitted to support a permanent plate which in financial terms equate to the price of a reasonable small new car. Now believe me when I say, I thought exactly the same thing as you might be thinking yourself just now. I took a few days before making my decision. It wasn’t hard actually, you only need to look at your street to see hundreds of cars rusting, depreciating in value every day; At least I would be able to smile about it and with confidence. Nothing prepares you for the journey ahead, mine took 5 months from start to finish. The hardest time was the waiting weeks before the intervention. From then on: IT WAS A BREEZE, A VERY REASSURING EXPERIENCE. You suddenly have the knowledge you have made the right choice. Nobody around me even noticed anything different in my appearance. People think I am a lot happier these days: its only because I smile a lot more now than I could before. Now, what I have to do here, is explain the experience in terms of the support I received from everyone and I do mean everyone at Cherrybank. I truly hope this allows you to make your decision easier. Everything was taken care of, from day one, right up to the end. The level of care, nurturing, the attention to details you will not even think of yourself, all of it was very carefully orchestrated and delivered with great professionalism & pride. I was more excited at the nurses being excited for me than for myself (I hope this doesn’t sound wrong and you understand my meaning). From providing my wife with dinner for the 2 of us on my first day after surgery to offering me with all the additional treatment they deemed necessary to facilitate my recovery and my parting gift (Just you wait and see…). So, to everyone at Cherrybank, from Dentists, Surgeon, anaesthetist, radiologist, nurses, receptionists, advisor and Elaine who is the brain behind it all, a big thank you. I was told that the definition of a good sale is when both parties are satisfied with the outcome. I certainly am. 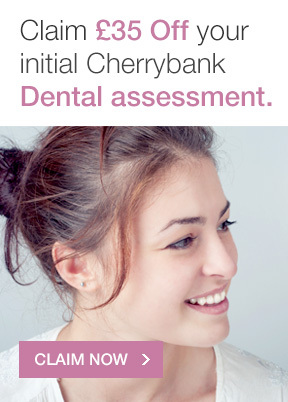 Having recently had dental implants fitted by Cherrybank Dental Spa staff, and having been nervous about possible discomfort prior to the process, I am delighted to say that during the three visits necessary to complete the procedure, I did not suffer any real discomfort and am delighted with the result. Many thanks to all involved. I hadn’t been to a dentist for a few years and was scared about going back. My top teeth were starting to fall out, and I was petrified about having none left. I finally plucked up the courage to contact Cherrybank Dental Spa in January. Two days later I was sitting with Kayleigh for a consultation, before Dr Halley examined my teeth and I decided to go for implants. It’s now September and the work is complete. I never felt pain or discomfort at any time and I’m so happy I did this. You’ve given me confidence again when I speak and smile! The entire team – reception staff, dental nurses, Gayle, Kayleigh, Dr Halley – have been amazing and like friends. Thank you all so much and see you soon. 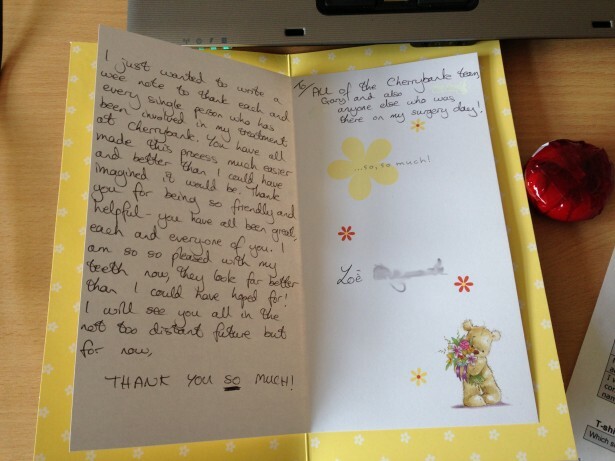 ‘I just wanted to write a wee note to each and every single person who has been involved in my treatment at Cherrybank. You have all made this process much easier and better than I could have imagined it would be. Thank you for being so friendly and helpful. You have all been great and I am so pleased with my teeth now, they look far better than I could have hoped for! 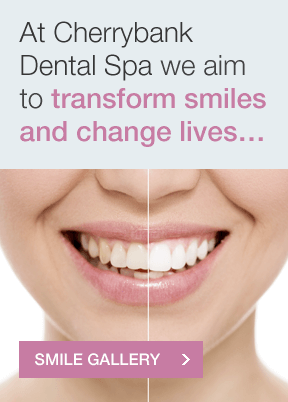 I have just completed ‘fixed teeth in a day’ treatment at Cherrybank Dental Spa. My initial consultation at Cherrybank was regarding failing front teeth and I had several upper back teeth missing resulting in a poor bite. I was self conscious of both my teeth and smile. I had never heard of fixed teeth in a day but was immediately intrigued by the idea, treatment and new teeth in a day, a low maintenance option – perfect ! However, I took time to research and consider my options. My many queries were answered comprehensively and almost immediately by Jill and Sam the treatment coordinators in the Perth surgery enabling me to come to an informed decision. There was no pressure on me whatsoever and I was given as much time as I needed to come to a decision. The whole experience was stress and pain free. I felt confident with the professionalism of all staff throughout the process. The reception staff, on my many visits, were always welcoming, caring and courteous. I am delighted with the final result and have had many complementary comments, in fact I am saving up for the next stage ….. bottom teeth !!! Thank you to all at Cherrybank Dental Spa. I have recently completed a course of treatment which involved the extraction of my remaining top teeth, replacing them with a full set of implants. Throughout the period of consultation and treatment all the staff, without exception, at Cherrybank were attentive, professional and capable. I suffered no more pain than a normal single extraction would do – something which quite frankly surprised me. Adhering to a “soft” diet for a while was no particular hardship. The only side effect I had was a disturbed pattern of sleep during the short time I had to take steroidal anti-inflammatory drugs. Dr Chris was ver supportive advising me of the shape and colour of my new teeth, he also gave attention to my bottom teeth, which were not being replaced. I have had nothing but praise from my friends and family on my new ‘smile’. Overall I am very satisfied with both the treatment and the result and would not hesitate to recommend Cherrybank to anyone contemplating treatment. I recently started treatment at Cherrybank Dental Spa, Perth and so far have been very pleased with the excellent level of patient service. All staff are committed and organised and I feel they are supporting me every step of the way. I was a bit apprehensive changing to a new dentist but need not have worried. Dr. McCrudden extracted a front tooth and placed a temporary bridge without pain and explained the process. I was honestly amazed at how the temporary bridge looked and felt. I am now feeling more confident about my future hygiene appointments and having two implants fitted. It was with a great deal of apprehension, that I attended an open evening, as I had a great fear of dentistry, due to bad experiences in my younger days, therefore I had not visited a dentist in years. I was unable to eat properly on one side of my mouth, and visually not good. After attending the open night, I decided to have my teeth removed and All In One Day teeth installed the same day, and I can honestly say this was a painless experience and visually a terrific result. Extremely happy with the result and would recommend Cherrybank Dental Spa as this has restored not only my teeth but my faith in dentists. I wanted something that gave low maintenance, improved my appearance and would endure for years/ decades. I really have been staggered by the high levels of customer care at Cherrybank. Kindly thank all of the staff who have poked, prodded, swished, motivated, and finally produced. 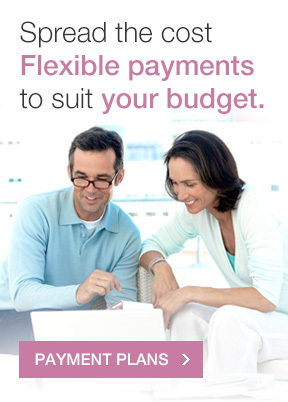 Though the whole process from first consultation to being ‘signed off’ took almost 9 months, the outcome was tremendous. If you are one of those people who has a mouth with a set of teeth that either does not look pretty or has gaps or limited life left, then implants are strongly to be considered. Personally, I was just fed up of returning to the dentist fairly frequently for fillings, breakages, part dentures, things were never going to improve, I wanted something that gave low maintenance, improved my appearance and would endure for years/ decades. There are usually other lines of treatment unless you have minimal teeth and you need to check these out, the hardest part I found was making a decision from all of the alternatives, and then committing to it, as you are then committed financially. The pre- operative phase was a couple of consultations with photos, X-rays, nothing unusual. The actual day of the implants was very impressive: organisationally it appears the whole staff at Cherrybank were geared to make the day a success , expert professionals in sedation and implant technology were brought in, and most important of all there was neither pain nor gore, and it was done with the utmost professionalism. You leave with temporary new teeth on implants which look as good as the real thing. Not surprisingly, the mouth, jaws, bone healing etc require to settle down before work commences on the final and your own implant, made to your specific bite, colour etc. The tricky part is finding your normal bite as bites change as you lose teeth but with patience, their expertise and your own bite re- learning , the promised land arrives. There were no hiccups, no false dawns, everything was clearly signposted and done with the highest of professional standards and with a genuine desire to satisfy the client. The whole staff did a wonderful job. I never had much of a smile so I had no real expectation of a smile appearing on completion of the treatment, but, hey presto, I show now off my mouth and my teeth to anyone these days, and what’s more they look and feel mine. Mr H. is a self-confessed dental phobic in his 50’s . He had tried over the years to maintain his teeth but was so frightened that even coming through the door of a dental practice would send him into a sweat. He was becoming increasingly embarrassed by the appearance of his upper teeth, so much so that he had grown a long moustache to cover up the discoloured teeth. His wife managed to persuade him to come to one of our open evenings about teeth in a day. With trepidation, he agreed to go ahead! 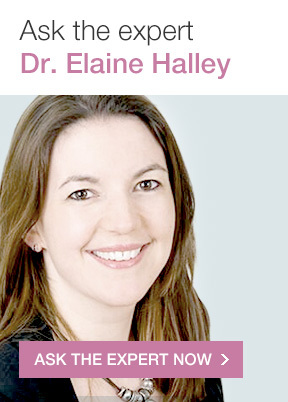 When Dr. Halley had reviewed his mouth the week after the procedure, the moustache had gone!! What can I say? “Thank You” seems so inadequate to convey my gratitude for what you have done for me. All my life I have dreamt of having a nice smile but never thought it would happen. Now, I can smile with confidence for the first time in 57 years! All of you at Cherrybank have played your part in making this happen – what an amazing team! Long may you continue to make dreams come true and I am certainly more than happy to be your “All On Four” ambassador. I would like to thank you most sincerely for the recent dental treatment I have had under your excellent care. After a long time worrying and actually losing sleep over the thought of losing my teeth, to having now undergone the transformation of having All On Four Implants completed in one day, has been a life changing experience for me. The care and attention to detail from yourself and your team has been amazing. The transformation of my life has also been amazing, just being able to smile and laugh without being self-conscious has made me a much happier person. I can now eat anything from a menu and not have to worry if I would be able to chew the food. Before, I would be chewing the softest options, now I have the biggest steak and am usually finished first. On a recent holiday, I even went diving and snorkelling which I had not done for several years as I was so worried that biting on the mouthpiece would make my teeth fall out, seems ridiculous, but it’s a fact. The difference having this work done is incredible, the whole experience is one I am so happy with, when I tell people I never even felt a thing, they think I must be mad, but I really didn’t. On the 3rd day after treatment I got on the train and had a full day shopping in Edinburgh, even having lunch while there. So, once again, thanks to you and your wonderful team for taking such good care of me all the way through, I am so grateful for my new smile, my new-found confidence, and even more grateful as my husband tells me I look several years younger! !